Brand New construction without the wait! 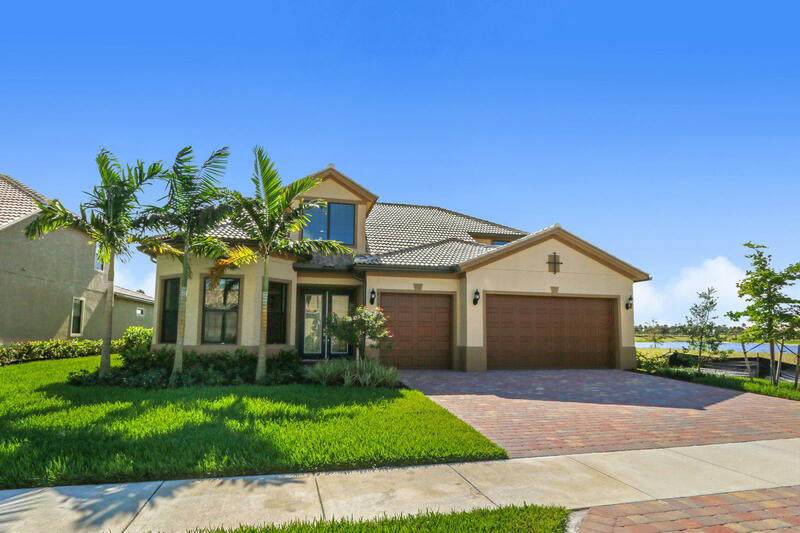 Located in the gated Divosta built community of Sonoma Isles this Stonewater model is situated on a premier waterfront lot with beautiful lake views and golf course. The bright and open floor plan offers 2 stories 4 bedrooms and 4 full baths plus loft and office/den. Chefs kitchen with Island open to the great room complimented with tray ceilings and crown molding. Gorgeous wood cabinetry with under cabinet lighting, Quartz counters and stainless appliances. The generous master suite and captures the tranquil water views and is accented with crown molding. Smooth wall finish throughout. This gated Jupiter community will feature amenities including a clubhouse, fitness center, resort pool and spa, plus sports courts and tot lot.